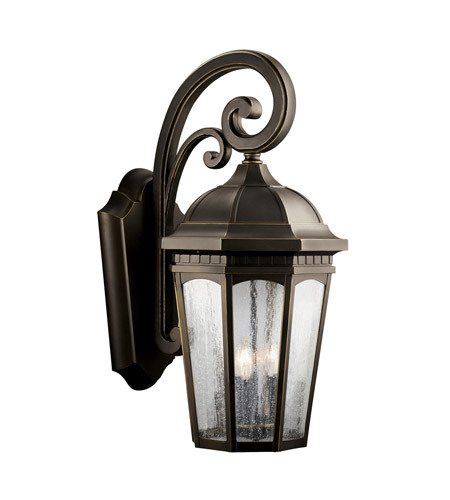 Select one of our outdoor wall lanterns or outdoor wall lights below to add next to doors for ease of access and to welcome guests or enhance style to your exterior décor. 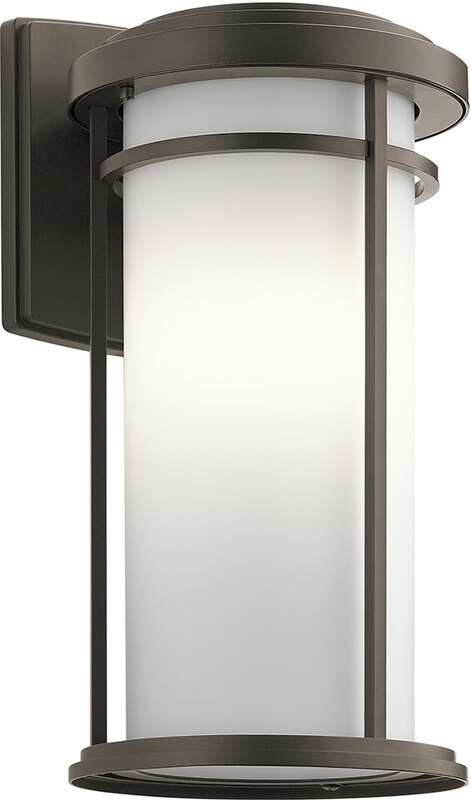 Outdoor Lighting & Outdoor Light Fixtures Outdoor Wall Lighting (508)Finish Group Black (126) Bronze (126) Metalic (22) Silver (18) White (14) Metallic (12) Hand_Paint (11) Stone (3) Colors (2)Collection Admirals Cove Collection (3) Alameda Collection (4) Allenbury Collection (2) Amber Valley Collection (3) Andover Collection (3) Argyle Collection (6) Ashbern Collection (3) Ashland Bay (4) Ashton Collection (3) Atwood Collection (6) Barrie Collection (16) Barrington (3) Bay Shore Collection (3) Bay Village Collection (3) Beacon Square Collection (3) Beckett Collection (6) Bowen Collection (4) Bradford Collection (3) Bridge Point Collection (4) Brunswick (2) Camden Collection (8) Cameron Collection (6) Capanna Collection (3) Caterham Collection (5) Celino Collection (2) Cesya Collection (2) Chance Harbor Collection (3) Chesapeake Collection (12) Courtyard Collection (13) Dahlia Collection (2) Embassy Row Collection (3) Empire Collection (2) Estella Collection (2) Fairfield Collection (3) Finn Collection (3) Forestdale Collection (4) Franceasi Collection (8) Galemore Collection (3) Grenoble Collection (1) Grove Mill Collection (3) Halleron Collection (2) Harbor Bay Collection (3) Harbor Row Collection (3) Harvest Ridge Collection (2) Hatteras Bay Collection (1) Hugo Collection (3) Kent Collection (2) Kirkwood Collection (6) Lantana Collection (3) Leeds Collection (2) Linford™ (3) Lyndon Collection (6) Madison Collection (11) Manhattan Collection (2) Manningham Collection (3) Maya Palm Collection (2) Mill Lane Collection (3) Montview (3) Morris Collection (3) Mount Vernon Collection (16) Newport Collection (4) Northland Collection (4) Oak Glen Collection (2) Outdoor Miscellaneous Collection (3) Ovale Collection (1) Pacific Edge Collection (5) Pallerton Way Collection (2) Piedmont Collection (3) Portman Square Collection (3) Ralston Collection (4) Rettangolo Collection (4) Ripley Collection (3) River Path Collection (4) Riverwood Collection (4) Rochdale Collection (4) Rockbridge Collection (2) Royal Marine Collection (3) Rustic Collection (4) Salisbury Collection (14) Sausalito Collection (2) Savannah Estates Collection (3) Seaside Collection (17) Sedo Collection (9) Shelby Collection (2) Sorel Collection (3) Soria Collection (3) South Hope Collection (4) Springfield Collection (3) Stonebrook Collection (2) Suri Collection (3) Tangier Collection (3) Tolerand Collection (3) Toman Collection (6) Tournai Collection (14) Townhouse Collection (10) Tremillo Collection (8) Turlee Collection (3) Vandalia Collection (4) Venetian Rain Collection (4) Wakefield Collection (3) Walden Collection (4) Wayland Collection (3) Wesley Collection (4) Westington Collection (2) Wiscombe Park Collection (8) Yorke Collection (3) Zolder Collection (2)Styles Traditional (177) Transitional (113) Contemporary / Modern (96) Lodge / Country (64) Arts and Crafts / Mission (40) Utility (11)Energy Star Yes (16)ADA Compliant Yes (20)Title 24 Compliant Yes (114)Dark-Sky Yes (27)Safety Rated Wet (500) Damp (8)SizeHWLApplyHCWO 2″ – 5″ (194) 5. 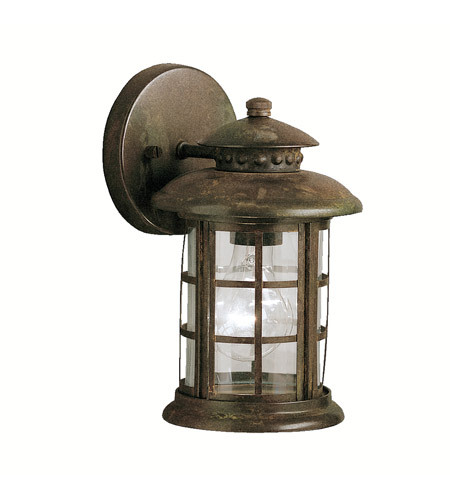 Kichler offers a wide selection of durable outdoor wall lights or outdoor wall lanterns in modern, rustic, classic styles and finishes. 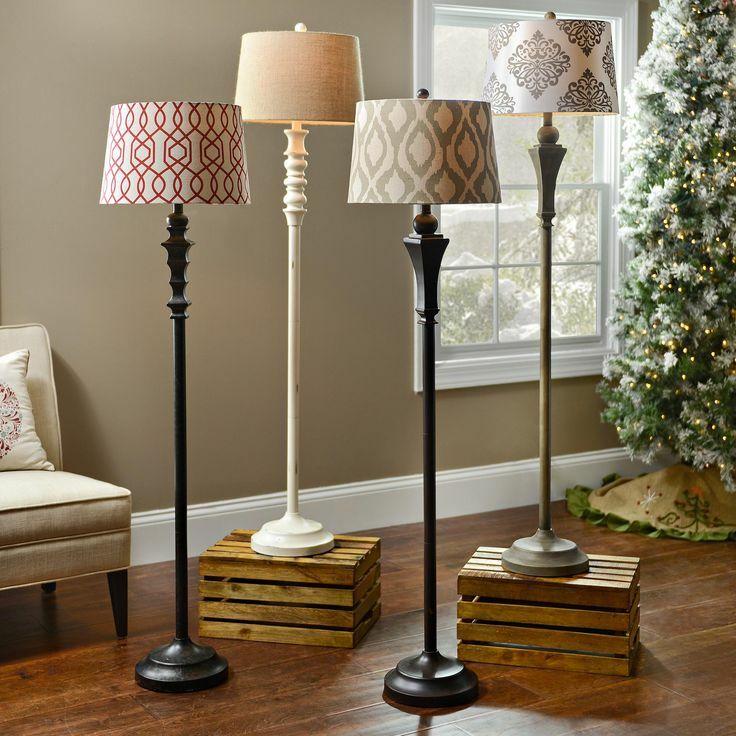 Need more inspiration for outdoor lanterns? 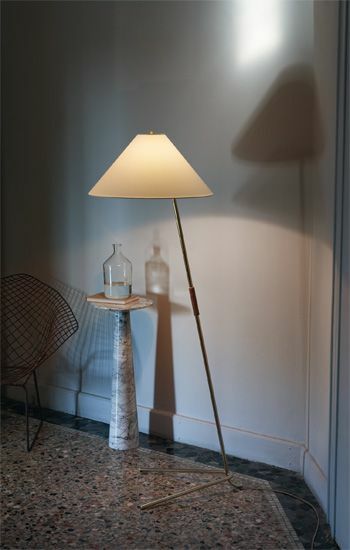 Check out our Gallery! 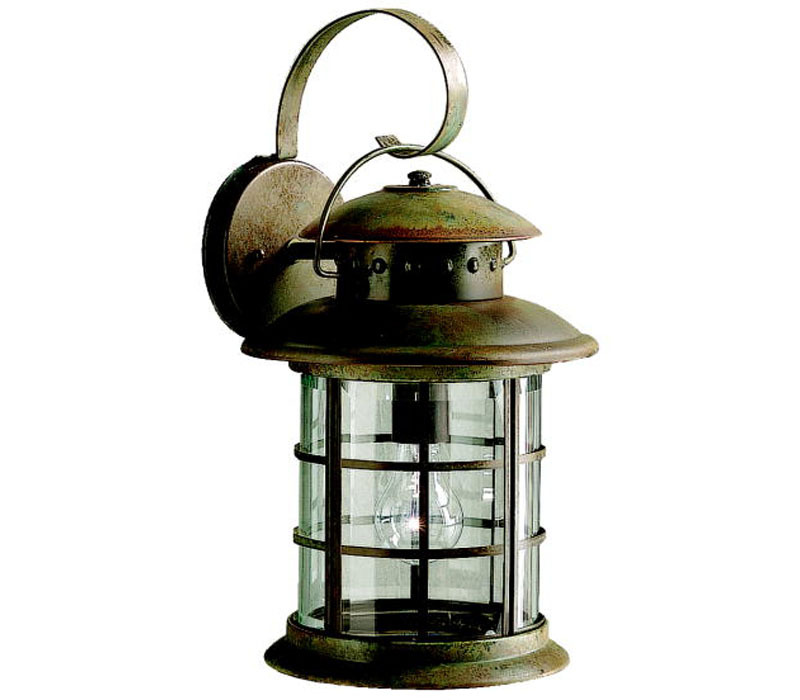 Barrie 1 Light LED Outdoor Wall BK49183BKL16Chance Harbor 1 Light Outdoor Wall Sconce WZC49936WZCOak Glen 1 Light Outdoor Wall Sconce DOZ49967DOZFranceasi 14.5″ Outdoor Wall LED in Olde Bronze49226OZLEDSpringfield 1 Light Outdoor Wall Sconce DBK49985DBKChance Harbor 1 Light Outdoor Wall Sconce WZC49937WZCBeckett 1 Light LED Outdoor Wall WZC49721WZCL16Barrie 1 Light LED Outdoor Wall TZ49183TZL16Oak Glen 1 Light Outdoor Wall Sconce DOZ49968DOZForestdale 1 Light Outdoor Wall OZ49735OZSpringfield 1 Light Outdoor Wall Sconce DBK49984DBKRiver Path 17. 5″ LED Outdoor Wall Light BKT49945BKTLEDWayland 11″ 1 Light Outdoor Wall Light WZC49872WZCArgyle 1 Light LED Outdoor Wall WZC49743WZCL16Bay Village 2 Light Outdoor Wall Light WZC49930WZCBeckett 1 Light Outdoor Wall WZC49722WZCVandalia 1 Light Outdoor Wall Light BKT49728BKTBarrie 1 Light LED Outdoor Wall BK49186BKL16Andover 1 Light 11. 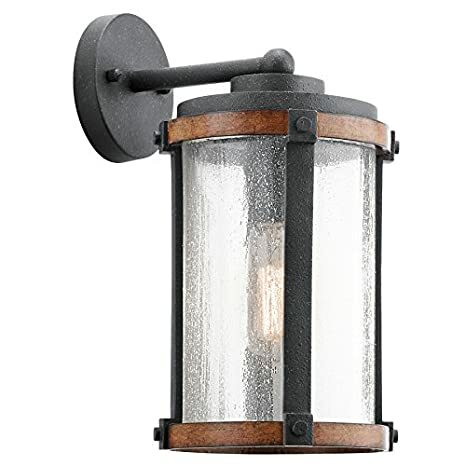 5″ Outdoor Wall Light WZC49864WZCChance Harbor 1 Light Outdoor Wall Sconce WZC49938WZCChesapeake 1 Light Outdoor Wall Light BK49255BKMill Lane 16″ 1 Light Outdoor Wall Light AVI49961AVIForestdale 2 Light Outdoor Wall OZ49736OZFinn 1 Light Outdoor Wall Light BK49824BKBeckett 1 Light Outdoor Wall WZC49721WZCArgyle 1 Light Outdoor Wall WZC49744WZCHugo 11″ 1 Light Outdoor Wall Light DBK49882DBKBeckett 1 Light LED Outdoor Wall WZC49722WZCL16Manhattan 22″ LED Outdoor Wall Light BKT49298BKTLEDBarrie 18. 75″ 1 Light LED Outdoor Wall TZ49186TZL16Barrie 1 Light LED Outdoor Wall BK9794BKL16Fairfield 14.5″ 1 Light Outdoor Wall Light OZ49893OZNorthland Outdoor Wall 1 Light BA49775BAWesly 1 Light LED Outdoor Wall Light AZT49278AZTLEDWakefield 1 Light LED Outdoor Wall Light BKT49751BKTLEDAshton 12 inch LED Outdoor Wall Light BKT49798BKTLEDForestdale 2 Light Outdoor Wall OZ49737OZSpringfield 1 Light Outdoor Wall Sconce DBK49986DBKCapanna 10. 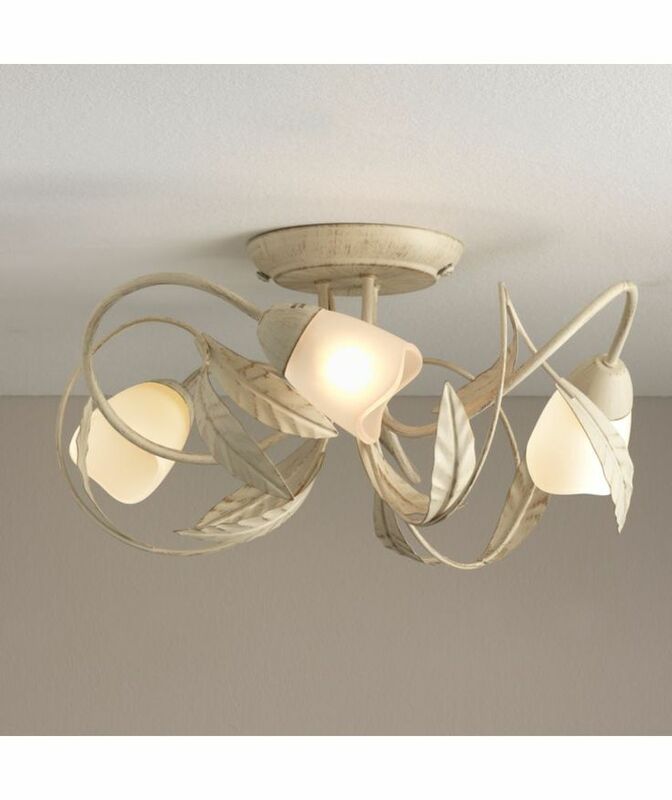 25″ 1 Light Outdoor Wall Light BKT49924BKTFinn 1 Light Outdoor Wall Light BK49825BKSuri 11.25 inch 1 Light Outdoor Wall Lantern BKT49857BKTHarbor Row 4 Light Outdoor Wall Lantern in OZ49716OZArgyle 1 Light LED Outdoor Wall WZC49744WZCL16Barrie 1 Light Outdoor Wall Light BK9735BKBeckett 1 Light Outdoor Wall WZC49723WZCBarrie 1 Light LED Outdoor Wall TZ9794TZL16River Path 17. 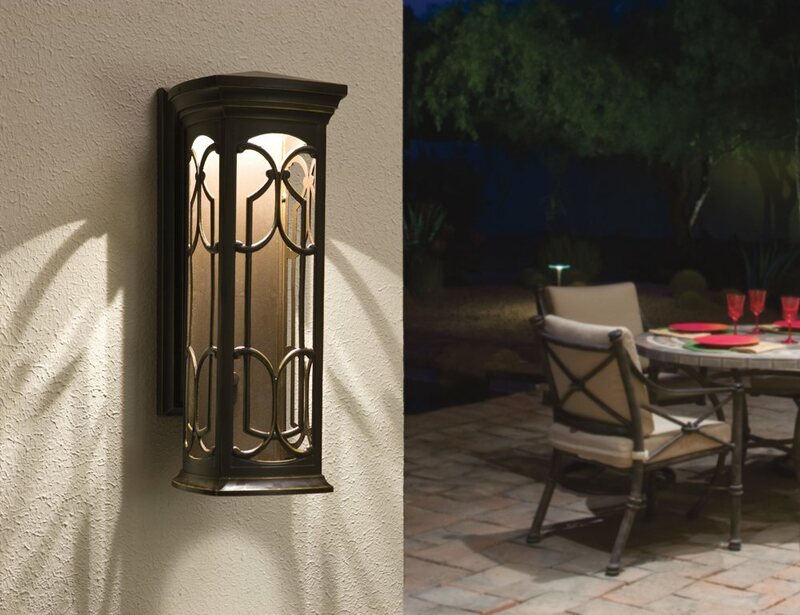 5″ LED Outdoor Wall Light OZ49945OZLEDWayland 14.5″ 1 Light Outdoor Wall Light WZC49873WZCForestdale 3 Light Outdoor Wall OZ49738OZBay Village 3 Light Outdoor Wall Light WZC49931WZCAshbern 12.75″ LED Outdoor Wall Light BKT49973BKTLEDFinn 1 Light Outdoor Wall Light BK49826BKWakefield 1 Light LED Outdoor Wall Light BKT49752BKTLEDKent LED Outdoor Wall Sconce BK49898BKLEDArgyle 1 Light Outdoor Wall WZC49745WZCAndover 1 Light 14″ Outdoor Wall Light WZC49865WZCHarbor Row 3 Light Outdoor Wall Lantern in OZ49715OZAllenbury 1 Light 12″ Outdoor Wall Light BKT49980BKTMill Lane 21″ 1 Light Outdoor Wall Light AVI49962AVIBeckett 1 Light LED Outdoor Wall WZC49723WZCL16Harbor Bay 12. 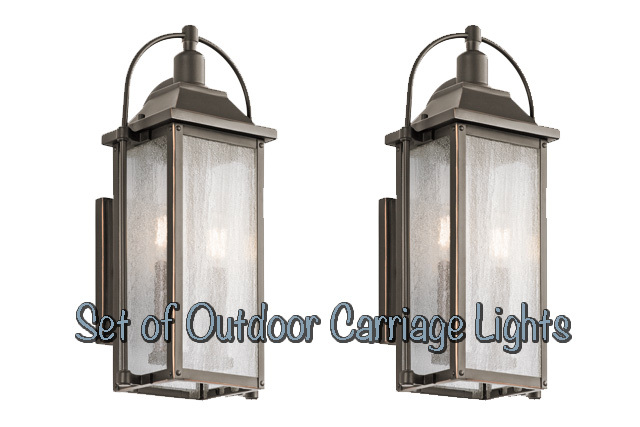 25″ 1 Light Outdoor Wall Light BK49917BKWesly 1 Light LED Outdoor Wall Light PL49278PLLEDHugo 14.75″ 1 Light Outdoor Wall Light DBK49883DBKFairfield 17.25″ 1 Light Outdoor Wall Light OZ49894OZArgyle 1 Light LED Outdoor Wall WZC49745WZCL16Manhattan 16″ LED Outdoor Wall Light BKT49297BKTLEDWakefield 1 Light LED Outdoor Wall Light BKT49753BKTLEDToman 1 Light Outdoor Wall Light OZ49686OZCapanna 13. 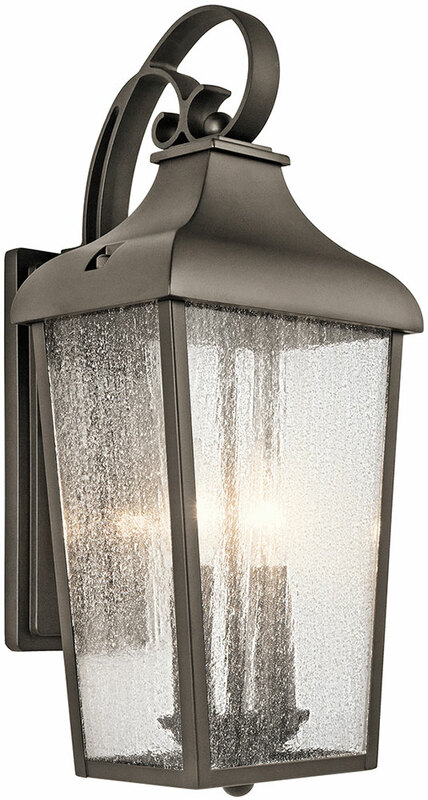 25″ 1 Light Outdoor Wall Light BKT49925BKTNorthland Outdoor Wall 1 Light BK49775BKGalemore 2 Light Outdoor Wall Lantern in OZ49709OZAshton 15 inch LED Outdoor Wall Light BKT49799BKTLEDRiver Path 23″ LED Outdoor Wall Light BKT49946BKTLEDWayland 17″ 1 Light Outdoor Wall Light WZC49874WZCBarrie 1 Light Outdoor Wall Light TZ9735TZSuri 15. 50 inch 1 Light Outdoor Wall Lantern BKT49858BKTToman 1 Light LED Outdoor Wall OZ49686OZL16Bay Village 4 Light Outdoor Wall Light WZC49932WZCAshbern 15.25″ LED Outdoor Wall Light BKT49974BKTLEDKent LED Outdoor Wall Light BK49899BKLEDAndover 1 Light 17. 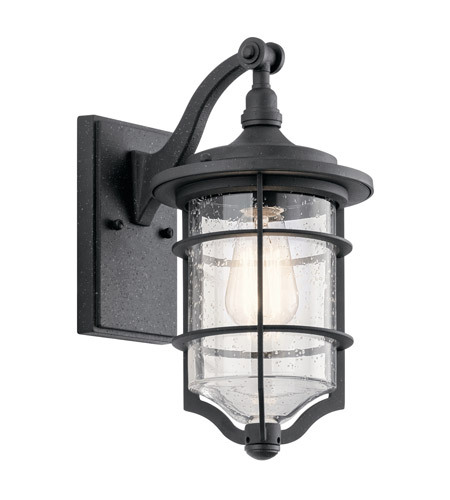 25″ Outdoor Wall Light WZC49866WZCArgyle 1 Light Outdoor Wall WZC49743WZCNorthland 1 Light Outdoor Wall Light BK49776BK1 Light Outdoor Wall Light BK9611BKAllenbury 1 Light 14″ Outdoor Wall Light BKT49981BKTWesly 2 Light LED Outdoor Wall Light AZT49279AZTLEDBridge Point Outdoor Extra Large Wall Lantern-WZC49630WZCHarbor Bay 15. 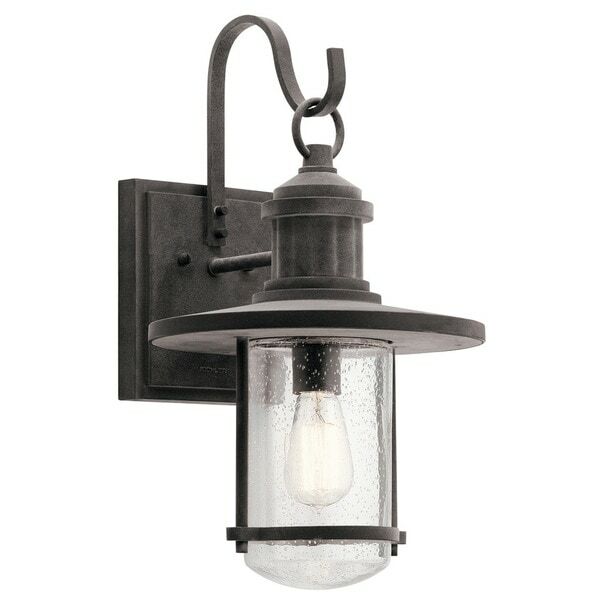 75″ 1 Light Outdoor Wall Light BK49918BKHugo 19″ 1 Light Outdoor Wall Light DBK49884DBKBridge Point Large Outdoor Wall Lantern in WZC49629WZCToman 1 Light Outdoor Wall OZ49687OZHarvest Ridge Extra Large Outdoor Wall Lantern-BKT49693BKTEstella 1 Light LED Outdoor Wall Light AZT49607AZTLEDCapanna 16″ 1 Light Outdoor Wall Light BKT49926BKTCourtyard 1 Light Outdoor Wall Lantern RZ9033RZLyndon 1 Light Outdoor Wall Lantern AZ49444AZToman 1 Light LED Outdoor Wall OZ49687OZL16River Path 23″ LED Outdoor Wall Light OZ49946OZLEDNorthland Outdoor Wall 1 Light BA49776BABridge Point Extra Large Outdoor Wall Lantern-WZC49627WZCAshbern 18. 25″ LED Outdoor Wall Light BKT49975BKTLEDAshton 24 inch LED Outdoor Wall Light BKT49800BKTLEDYorke 1 Light Outdoor Wall Light BKT49820BKTWesly 2 Light LED Outdoor Wall Light PL49279PLLEDSuri 17.50 inch 1 Light Outdoor Wall Lantern BKT49859BKTToman 1 Light Outdoor Wall OZ49688OZPortman Square 2 Light Outdoor Wall Light – OZ49160OZHarbor Bay 18. 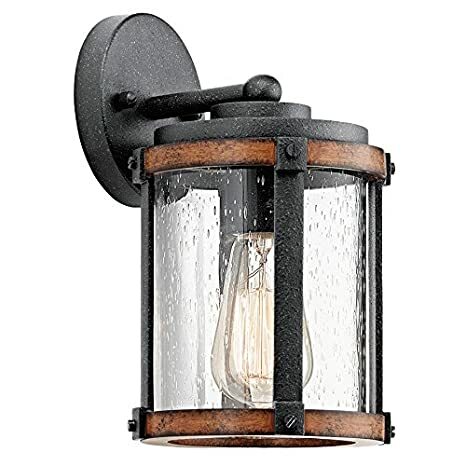 5″ 1 Light Outdoor Wall Light BK49919BKEstella 2 Light LED Outdoor Wall Light AZT49608AZTLEDYorke 1 Light Outdoor Wall Light BKT49821BKT2 Light Outdoor Wall Cylinder AZ9246AZHarvest Ridge Outdoor Wall Lantern in BKT49691BKTToman 1 Light LED Outdoor Wall OZ49688OZL16Mill Lane 10. 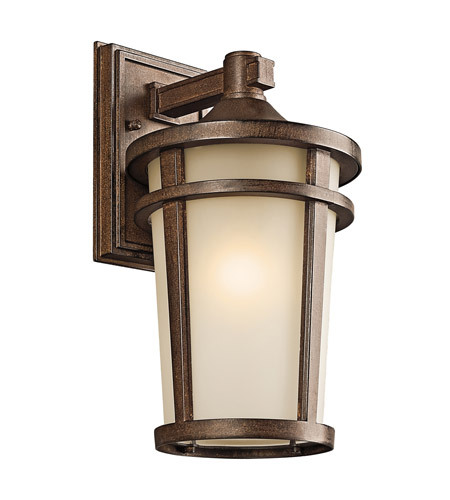 25″ 1 Light Outdoor Wall Light AVI49960AVIBradford 1 Light Outdoor Wall Light – Olde Bronze 49381OZYorke 1 Light Outdoor Wall Light BKT49822BKTFairfield 11″ 1 Light Outdoor Wall Light OZ49892OZEmpire 20 in LED Outdoor Wall Light OZ49779OZLEDAmber Valley LED Wall Lantern BKT49623BKTLEDSalisbury 1 Light Fluorescent Outdoor Wall Light-R11002RZBradford 1 Light Outdoor Wall Lantern in OZ OZ49382OZShelby 2 Light LED Outdoor Wall Light in AZT49253AZTLEDCourtyard 3 Light Outdoor Wall Lantern RZ9034RZEmpire 22in LED Outdoor Wall Light OZ49780OZLEDSausalito 3 Light Outdoor Wall Light – Olde Bronze9452OZCamden 2 Light Outdoor Wall Light – AVI49120AVILyndon 1 Light Outdoor Wall Lantern AZ49445AZGalemore 3 Light Outdoor Wall Lantern in OZ49710OZ2 Light Outdoor Wall Cylinder AZ9244AZ1 Light Outdoor Wall Cylinder BA9234BA1 Light Outdoor Wall Light NI6040NIAshland Bay 3 Light Outdoor Wall Lantern in WZC49668WZCPiedmont 1 Light Outdoor Wall Light DBK49770DBKOvale 2 Light LED Outdoor Wall Lantern PL49788PLLED2 Light Outdoor Wall Cylinder BA9244BABowen 1 Light Outdoor Wall Light in AZ49337AZBradford Outdoor 1 Light Wall Light – Olde Bronze 49383OZCaterham 1 Light Fluorescent Outdoor Wall Lantern 49643OZFLPiedmont 1 Light Outdoor Wall Light DBK49771DBKSeaside Extra Large Outdoor Wall Lantern BK9142BKRockbridge 16in 2 Light LED Outdoor Wall Light BK49785BKLEDDahlia Medium LED Outdoor Wall Light AZ49557AZLEDPiedmont 1 Light Outdoor Wall Light DBK49772DBKChesapeake 1 Light Outdoor Wall Lantern BK9776BKSeaside Extra Large Outdoor Wall Lantern NI9142NIDahlia Large LED Outdoor Wall Light AZ49558AZLEDSeaside 1 Light Outdoor Wall Light OZ9023OZRockbridge 21in 2 Light LED Outdoor Wall Light BK49786BKLEDRipley 1 Light Outdoor Wall Light in Olde Bronze49059OZSeaside Extra Large Outdoor Wall Lantern OZ9142OZSouth Hope 2 Light Outdoor Wall Lantern in RZ49499RZ1 Light Outdoor Wall Cylinder AZ9234AZAlameda 1 Light Outdoor Wall Light in Canyon View9651CVRettangolo 1 Light LED Outdoor Wall Lantern BKT49802BKTLEDAtwood 1 Light Outdoor Wall Lantern in BST49072BST13 Inch LED Outdoor Wall Sconce BKT11320BKTLEDGalemore Outdoor 3 Light Wall Lantern in OZ49711OZRettangolo 1 Light LED Outdoor Wall Lantern PL49802PLLEDShelby 1 Light LED Outdoor Wall Light in AZT49252AZTLEDLyndon 1 Light Outdoor Wall Light BA49444BACross Creek 1 Light Outdoor Wall Light-Aged Bronze9130AGZVandalia 3 Light Outdoor Wall Light BKT49729BKTTurlee 1 Light Outdoor Wall Lantern BK49655BKTournai 3 Light Outdoor Wall Light – Londonderry9358LDRettangolo 1 Light Outdoor LED Wall Lantern BKT49803BKTLEDChesapeake 1 Light Outdoor Wall Lantern BK9774BKSOutdoor 1 Light Wall Cylinder in BA9246BARettangolo 1 Light Outdoor LED Wall Lantern PL49803PLLEDHarbor Row 2 Light Outdoor Wall Lantern in OZ49714OZLyndon 1 Light Outdoor Wall Lantern BA49445BARiverwood 1 Light Outdoor Wall Light WZC49191WZCEmbassy Row 3 Light Outdoor Wall Light OZ9785OZRiverwood 1 Light Outdoor Wall Light WZC49192WZCAlameda Outdoor 1 Light Wall Light in Canyon View9652CVSalisbury 1 Light Outdoor Wall Light BK9040BKRiverwood 1 Light Outdoor Wall Light WZC49193WZCTremillo 1 Light Outdoor Wall Light in Black49200BKMount Vernon 1 Light Outdoor Wall Lantern – OZ9708OZTournai 2 Light Outdoor Wall Lantern – BKT9357BKTTurlee Large 1 Light Outdoor Wall Lantern BK49656BK2 Light Outdoor Wall Light AZ6052AZRiverwood 1 Light Outdoor Wall Light WZC49194WZC1 Light Outdoor Wall Lantern BK9650BK1 Light Outdoor Wall Lantern TZ9650TZTournai 2 Light Outdoor Wall Lantern – LD9357LDMadison 1 Light Outdoor Wall Light BK9654BK1 Light Indoor/Outdoor Wall Light BK9234BKAdmirals Cove 1 Light Outdoor Wall Light BKT49846BKTNew Street 1 Light Outdoor Wall Light SS9618SSMadison Outdoor 1 Light Wall Light BK9653BKSeaside 1 Light Outdoor Wall Lantern NI9022NIOutdoor Wall 1 Light LED AZ49118AZLEDCamden 2 Light Outdoor Wall Light in Anvil Iron49121AVIAmber Valley Large LED Wall Lantern BKT49624BKTLEDRoyal Marine 1 Light Outdoor Wall Light DBK49126DBK1 Light Seaside Outdoor Wall Light NI9021NIAdmirals Cove 1 Light Outdoor Wall Light BKT49847BKTEmbassy Row 1 Light Outdoor Wall Light OZ9784OZLyndon 2 Light Outdoor Wall Light BA49496BABridge Point Medium Outdoor Wall Lantern in WZC49628WZCRoyal Marine 1 Light Outdoor Wall Light DBK49127DBKTurlee Small 1 Light Outdoor Wall Lantern BK49654BK2 Light Indoor/Outdoor 12″ Wall Light BK9244BK1 Light Outdoor Wall Lantern TZ9029TZAdmirals Cove 1 Light Outdoor Wall Light BKT49848BKT1 Light Outdoor Wall Light AZ6040AZRoyal Marine 1 Light Outdoor Wall Light DBK49128DBKSeaside 1 Light Outdoor Wall Lantern OZ9022OZAmber Valley Small LED Wall Lantern BKT49622BKTLEDSausalito 1 Light Outdoor Wall Light – Olde Bronze9412OZWalden 1 Light LED Outdoor Wall Light AZ49550AZLED1 Light Atwood Outdoor Wall Lantern in BST49071BSTCaterham 1 Light Outdoor Wall Lantern in OZ OZ49642OZFL2 Light Indoor/Outdoor 15″ Wall Light BK9246BKTangier 1 Light Outdoor Wall Light OZ49840OZChesapeake 1 Light Outdoor Wall BK49255BKSBowen Outdoor 1 Light Wall Light in AZ49338AZCamden 1 Light Outdoor Wall Lantern – AVI49119AVITangier 1 Light Outdoor Wall Light OZ49841OZTremillo outdoor 1 Light Wall Light in Black49201BKWalden 1 Light LED Outdoor Wall Light BKT49550BKTLEDSeaside 1 Light Outdoor Wall Lantern BK9022BKBeacon Square 1 Light Outdoor Wall Light OZ49829OZNew Street 1 Light Outdoor Wall Light OZ9618OZTangier 1 Light Outdoor Wall Light OZ49842OZChesapeake 1 Light Outdoor Wall Light BK9776BKSBeacon Square 1 Light Outdoor Wall Light OZ49830OZOutdoor 1 Light Wall lantern – PSS31649346PSS316Caterham 1 Light Outdoor Wall Light in Olde Bronze49643OZZolder 2 Light Halogen Outdoor Light – AZ49151AZWalden 2 Light LED Outdoor Wall Light AZ49551AZLEDSouth Hope 1 Light Outdoor Wall Light RZ49475RZBeacon Square 1 Light Outdoor Wall Light OZ49831OZOutdoor Tremillo 1 Light Wall Light in Black49202BKMadison 1 Light Outdoor Wall Light BK9655BKVandalia 1 Light Outdoor Wall Light BKT49726BKTCameron 1 Light Outdoor Wall Lantern in PR9719PRMount Vernon 1 Light Outdoor Wall Light in Black9709BKMount Vernon 1 Light Outdoor Wall Lantern – BK9708BKRipley 1 Light Outdoor Wall Lantern in Olde Bronze49061OZVandalia 1 Light Outdoor Wall Light BKT49727BKTWalden 2 Light LED Outdoor Wall Light BKT49551BKTLEDCameron 1 Light Outdoor Wall Light in Prairie Rock9718PRMount Vernon Outdoor 1 Light Wall 1 Light – OZ9707OZCourtyard 3 Light Outdoor Wall Light RZ9035RZLantana 1 Light Outdoor Wall Light – AZ9167AZOutdoor Wall LED AGZ49249AGZLED1 Light Outdoor Wall Lantern BK9029BKTremillo 20″ Outdoor Wall Light in Black49203BKWestington 1 Light Outdoor Wall Light in OZ OZ49585OZSalisbury 1 Light Outdoor Wall RZ9040RZTournai 4 Light Outdoor Wall Light – BKT9359BKTBarrie 1 Light Outdoor Wall Light BK9736BKOutdoor Wall 1 Light LED AZ49434AZOutdoor Wall 1Lt Fluorescent10950TZWestington 1 Light Outdoor Wall Lantern in OZ OZ49586OZTolerand 1 Light Outdoor Wall Light – BKT49554BKTCourtyard 3 Light Outdoor Wall Lantern BKT9034BKTOutdoor Wall 1Lt Fluorescent TZ10954TZTownhouse 1 Light Outdoor Wall Light TZ9788TZCelino 1 Light Outdoor Wall Light in Black9109BKGrenoble 1 Light Outdoor Wall Light NI9044NIRustic 1 Light Outdoor Wall Light – RST9760RSTTolerand 1 Light Outdoor Wall Light – Textured Bla49553BKTOutdoor Wall 1Lt BK9790BKOutdoor Wall 1Lt Fluorescent11011RZSeaside 1 Light Outdoor Wall Light NI9023NIOutdoor Wall 3Lt9677OZOutdoor Wall 1 Light LED SBK49435SBK1 Light Outdoor Wall Light SS9611SSSeaside 1 Light Outdoor Wall Lantern OB9022OBMadison 1 Light Outdoor Wall Light TZ9655TZTournai 4 Light Outdoor Wall Light – LD9359LD1 Light Outdoor Wall Cylinder WHT9234WHSalsibury 1 Light Outdoor Wall Light RZ9042RZOutdoor Wall 1Lt49346AZOutdoor Wall LED49228OZLEDSeaside 1 Light Outdoor Wall Light BK9023BKOutdoor Wall 1Lt Fluorescent NI10640NIPortman Square Outdoor 1 Light Wall Light – OZ49159OZOutdoor Wall 2Lt Fluorescent AVI49120AVIFLOutdoor Wall 2Lt AZ49339AZBarrie 1 Light Outdoor Wall Light TZ9736TZOutdoor Wall 1Lt9148CVOutdoor Wall 1Lt BK9041BKOutdoor Wall 1Lt OZ49642OZOutdoor Wall LED49229OZLED1 Light Tournai Outdoor Wall Lantern in BKT9356BKTMount Vernon 1 Light Outdoor Wall Light – OZ9709OZLyndon 2 light Outdoor Wall Light AZ49496AZOutdoor Wall 1Lt49345AZOutdoor Wall 1Lt49411RZOutdoor Wall 1Lt TZ9789TZCourtyard 1 Light Outdoor Wall RZ9032RZOutdoor Wall 2Lt BKG49131BKGOutdoor Wall 3Lt Fluorescent AVI49122AVIFL1 Light Seaside Outdoor Wall Light OZ9021OZOutdoor Wall 1Lt BK9789BKOutdoor Wall 1Lt RZ9043RZCelino 1 Light Outdoor Wall Light-Brushed Aluminum9109BA1 Light Outdoor Wall Light TZ9611TZOutdoor Wall 1Lt9031DCOOutdoor Wall 1Lt BK1148BKCourtyard 1 Light Outdoor Wall Lantern BKT9033BKTPortman Square 1 Light Outdoor Wall Light – OZ49158OZOutdoor Wall 1Lt BK9774BKOutdoor Wall 1Lt9025DCOTremillo 20″ Outdoor Fluorescent Wall Light- Black49203BKFLOutdoor Wall 1Lt RZ49271RZOutdoor Wall 4 Light WZC49504WZC1 Light Seaside Outdoor Wall Light BK9021BKOutdoor Wall 1Lt AGZ49451AGZOutdoor Wall 1Lt Fluorescent10908OZOutdoor Wall 1 Light LED AZ49436AZTournai 3 Light Outdoor Wall Light- Textured Black9358BKTOutdoor Wall 1 Light OZ49384OZOutdoor Wall 1Lt9761RSTOutdoor Wall 6 Light OZ49515OZOutdoor Wall 1Lt AZ9236AZSeaside 1 Light Outdoor Wall Light OB9023OBOutdoor Wall 1Lt TZ9028TZOutdoor Wall 1Lt Fluorescent11018PROutdoor Wall 1 Light LED OZ49067OZLEDFranceasi 1 Light Outdoor Wall Light in OZ49226OZOutdoor Wall 1Lt BK9028BKOutdoor Wall 1Lt Fluorescent11012RZOutdoor Wall 1Lt RZ9041RZAtwood 1 Light Outdoor Wall in BST49073BSTOutdoor Wall 1Lt Fluorescent RZ11001RZMadison 1 Light Outdoor Wall Light TZ9654TZOutdoor Wall Bracket 1Lt9762RSTOutdoor Wall 1Lt49060OZOutdoor Wall 1 Light WZC49501WZCOutdoor Wall 1Lt9166AZ2 Light Outdoor Wall Cylinder WHT9244WHChesapeake 1 Light Outdoor Wall Light TZ49255TZOutdoor Wall 1Lt9168AZ1 Light Outdoor Wall Light OZ9611OZOutdoor Wall 1Lt49227OZOutdoor Wall Sconce 1Lt AZ9095AZOutdoor Wall LED49227OZLEDOutdoor Wall 1Lt RZ49272RZOutdoor Wall 2Lt9676OZOutdoor Wall 1Lt OZ49644OZOutdoor Wall 1Lt AZ49257AZMadison Outdoor 1 Light Wall Light TZ9653TZMount Vernon 1 Light LED Outdoor Wall Light OZ9709OZLEDOutdoor Wall 1Lt49228OZOutdoor Wall 1Lt9712PBCourtyard 3 Light Outdoor Wall Light BKT9035BKTZolder 1 Light Halogen Outdoor Light – AZ49149AZOutdoor Wall 1Lt Fluorescent10909OZOutdoor Wall 2 Light NI6048NI1 Light Tournai Outdoor Wall Lantern in LD9356LDOutdoor Wall 3Lt TZ9030TZOutdoor Wall 1Lt9711PBOutdoor Wall 1Lt Fluorescent TZ10923TZOutdoor Wall 1Lt RZ49474RZOutdoor Wall 3Lt BKT9060BKTSalsibury 1 Light Outdoor Wall Light BK9042BKOutdoor Wall 1Lt LED AZT11077AZTOutdoor Wall 1Lt Fluorescent11099NIOutdoor Wall 1Lt TZ9790TZOutdoor Wall 2Lt BRZ49131BRZ4 Light Tournai Outdoor Wall Lantern in BKT9360BKTOutdoor Wall 1Lt9649CVOutdoor 1 Light Wall lantern in PSS31649345PSS316Outdoor Wall 3 Light WZC49502WZCOutdoor Wall 3Lt BRZ49132BRZOutdoor Wall 1Lt BK9039BKOutdoor Wall 1Lt9720PRTolerand 1 Light Outdoor Wall Light – Textured Bla49552BKT1 Light Atwood Fluorescent Outdoor Wall Lantern – 49071BSTFLSalisbury 1 Light Outdoor Wall Light BK9043BKOutdoor Wall 3Lt BKG49132BKGOutdoor Wall 1Lt BK49183BKOutdoor Wall 1Lt9129AGZOutdoor Wall 1Lt AGZ49450AGZOutdoor Wall 3 Light OZ49386OZ2 Light Outdoor Wall Light WHT6052WHOutdoor Wall 1Lt AZ49258AZCourtyard™ 3 Light Outdoor Wall – RZ9060RZOutdoor Wall 1Lt49110AVIOutdoor Wall 3Lt BK9777BKOutdoor Wall 3Lt BK49185BKOutdoor Wall 1 Light LED AZ49117AZLEDCamden 1 Light Fluorescent Outdoor Wall Lantern49119AVIFLOutdoor Wall 1Lt Fluorescent10953TZOutdoor Wall 1Lt RZ9039RZOutdoor Wall 1Lt BK9791BKOutdoor Wall 1Lt49065OZOutdoor Wall 1Lt LED BKT11077BKTOutdoor Wall 1 Light LED49248AGZLEDOutdoor Wall 1Lt Fluorescent11098NI1 Light Outdoor Wall Lantern WHT9650WHOutdoor Wall 1Lt49409RZOutdoor Wall 6Lt9703OZOutdoor Wall 1Lt49064OZMadison Outdoor 1 Light Wall Light WHT9653WHOutdoor Wall 1Lt Fluorescent10907OZOutdoor Wall 1Lt TZ9791TZOutdoor Wall 3Lt BK9030BKOutdoor Wall 1Lt9713PBOutdoor Wall 1 Light LED SBK49492SBKTownhouse 1 Light Outdoor Wall Light BK9788BKBarries 18. 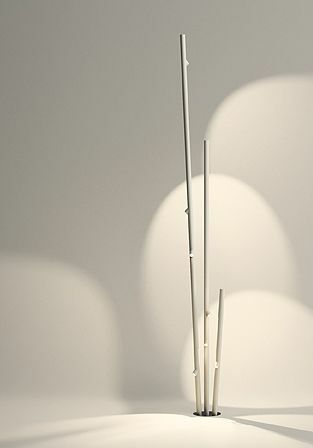 75″ 1 Light Outdoor Wall BK49186BKOutdoor Wall 1Lt RZ49476RZOutdoor Wall 1 Light LED SBK49434SBKOutdoor Wall 1Lt AGZ49449AGZOutdoor Wall 1Lt Fluorescent10922AZSeaside 1 Light Outdoor Wall Lantern WHT9022WHMount Vernon 1 Light LED Outdoor Wall Lantern OZ9708OZLEDCourtyard 1 Light Outdoor Wall BKT9032BKTOutdoor Wall 1Lt49229OZOutdoor Wall 1 Light LED PL49434PLOutdoor Wall 1Lt TZ49186TZOutdoor Wall 3Lt TZ49185TZ2 Light Outdoor Wall Cylinder WHT9246WHTournai 1 Light Outdoor Wall inLD9355LD4 Light Tournai Outdoor Wall Lantern in LD9360LDOutdoor Wall 1Lt9024DCOBarrie 10. 25″ 1 Light Outdoor Wall TZ49183TZMount Vernon Outdoor LED Wall 1 Light OZ9707OZLEDBarrie 1 Light Outdoor Wall TZ9794TZBarrie 1 Light Outdoor Wall BK9794BKOutdoor Wall 4Lt9704OZOutdoor Wall 1Lt OZ9783OZOutdoor Wall 1Lt RZ49414RZOutdoor Wall 1Lt Fluorescent BK10923BKWiscombe Park 1 Light Outdoor Wall – OZ OZ49501OZOutdoor Wall 1Lt WHT1148WHAtwood 1 Light Outdoor Wall Lantern Fluorescent – 49072BSTFLOutdoor Wall 3Lt AVI49122AVIOutdoor Wall 1Lt6051AZChesapeake 1 Light Outdoor Wall Light WH49255WHOutdoor Wall 1Lt WHT9774WHOutdoor Wall 1Lt9759RSTOutdoor Wall 1 Light LED AZ49492AZOutdoor Wall 1Lt9409PBAtwood 1 Light Fluorescent Outdoor Wall – BST49073BSTFLOutdoor Wall 2Lt9439PBOutdoor Wall 1Lt9128AGZTremillo Fluorescent 1 Light Wall Light in Black49202BKFLCamden 2 Light Fluorescent Wall Light – Anvil Iron49121AVIFLChesapeake 1 Light Outdoor Wall Lantern WHT9776WHOutdoor Wall 1Lt Fluorescent11017PROutdoor Wall 1Lt49344AZOutdoor Wall 1Lt Fluorescent11010RZOutdoor Wall 2 Light OZ49385OZOutdoor Wall 1Lt6051WHTremillo 1 Light Fluorescent Wall Light in Black49200BKFLTournai 1 Light Outdoor Wall BKT9355BKTOutdoor Wall 1Lt Fluorescent49110AVIFLOutdoor Wall 4 Light RZ9099RZTremillo 1 Light Fluorescent Wall Light in Black49201BKFLOutdoor Wall 4Lt9631OZ1 Light Outdoor Wall Light WHT9611WHOutdoor Wall 1 Light LED AZ49437AZOutdoor Wall 1 Light LED AZ49435AZOutdoor Wall 1Lt Fluorescent AZ10640AZOutdoor Wall 1Lt TZ1148TZOutdoor Wall 3Lt9489PBSedo Collection 1 Light LED Outdoor Wall PL49492PLOutdoor Wall 4Lt9704BKOutdoor Wall 1Lt AZ49336AZOutdoor Wall 1Lt Fluorescent11019PROutdoor Wall 6Lt9703BKOutdoor Wall 1 Light OZ49512OZMount Vernon Outdoor 1 Light Wall 1 Light – BK9707BKOutdoor Wall 4 Light WZC49503WZCOutdoor Wall 3Lt WHT9777WHOutdoor Wall 2 Light AZ6048AZOutdoor Wall 2 Light OZ49513OZOutdoor Wall 1Lt49067OZOutdoor Wall 1 Light LED PL49435PLMadison 1 Light Outdoor Wall Light WHT9654WH3000 K LED Outdoor Lantern AZT11250AZT303000 K LED Outdoor Lantern BKT11250BKT30LED 3000K Outdoor Up & Down Lantern AZT11251AZT30LED 3000K Outdoor Up & Down Lantern BKT11251BKT30Sorel 2 Light LED Outdoor Wall AZ49190AZLEDWiscombe Park 3 Light Outdoor Wall – OZ OZ49502OZWiscombe Park 4 Light Outdoor Wall – OZ OZ49503OZWiscombe Park 4 Light Outdoor Wall – In OZ OZ49504OZAshland Bay 1 Light Small Outdoor Lantern – WZC WZ49569WZCAshland Bay 1 Light Medium Outdoor Lantern – WZC W49570WZCAshland Bay 1 Light Large Outdoor Lantern – WZC WZ49571WZCPallerton Way 1 Light Small Outdoor Lantern – OZ O49579OZPallerton Way 1 Light Medium Outdoor Lantern – OZ 49580OZHalleron 2 Light Outdoor Wall Lantern – LD LD49600LDHalleron 3 Light Outdoor Lantern – LD LD49601LDOutdoor Wall 1 Light LED OZ49065OZLEDOutdoor Wall 1Lt49410RZOutdoor Wall 4 Light BK9099BKOutdoor Wall 5Lt BKT9362BKTOutdoor Wall 5Lt LD9362LDOutdoor Wall 4 Light OZ49514OZMontview 8″ Large Outdoor Wall mount WZC39503Montview 5″ Small Outdoor Wall mount WZC39504Montview 6.